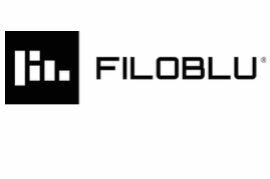 With more than 200 projects in last 4 years and over 3,000 orders per day, FiloBlu made the shopping experience its own core business with a team of more than 90 employees. FiloBlu is the ideal business partner to support fashion, design and beauty brands in managing all aspects of their own e-stores thanks to an integrated shopping experience and a senior team with vertical competencies including: Retail & Digital Strategy, Online Store Management, Marketplace Management, Customer Care, CRM, WebMarketing, Content Management, Digital Communication (Social Media Management, Digital PR), Project Management, Web Development, Web Design, Logistics. We have offices in Venice (HQ), Milan, Naples, London, Barcelona, Prague, New York and Hong Kong. Recent we opened new companies and logistics hubs in Hong Kong and Shanghai to support the brand in the Asian market penetration. Some of our most relevant clients are: Elisabetta Franchi, Santoni Shoes, René Caovilla, Automobili Lamborghini, Paloma Barcelò, Antony Morato, Ottod’Ame, Collistar, Maliparmi, Ballin, Original Marines, Tucano Urbano, Henry Cotton’s, MCS Apparel, Braccialini, Camomilla Italia e Santa Eulalia. Christian Nucibella is an engineer and an expert in lean management and business management. He started his career in 1997 with a role in the automotive industry and went on to head a PMO. He has always been passionate about new technology, digital systems and innovation. He has been a founding partner and the CEO of FiloBlu since 2009.